The physicians and clinical staff at Vital Kids offer comprehensive integrative treatment options for the management of your children’s health care needs. Our providers and staff are eager to help you and your family get started on the path towards wellness. We are truly invested in your personal experience here at the clinic and all of our team members are dedicated to helping you achieve your health goals. As we investigate the chronic underlying causes of your health concerns we also offer many biomedically targeted and acute treatment modalities. We apply the appropriate treatment to provoke a healing response with the least intervention possible. "Dr. Yang has changed our life! Our son was diagnosed with Autism at the age of three. We came to Dr. Yang without ANY knowledge of holistic medicine, let alone Autism. With the help, guidance, comprehensive approach, thoroughness approach of Dr. Yang, our son is on the road to recovery. Dr. Yang has helped with Autism, speech delays, ADD, mitochondrial support, anxiety...just to name a few. Within the short span two years, our son has come leaps and bounds in his recovery. It has been a long road, but we stuck through the hard times and trusted Dr. Yang. We all worked as a collaborative team for our son and we couldn't be more happy with his on going success. THANK YOU DR. YANG!" “Dr Gbedawo saved my son’s life, she turned a little boy that wouldn’t be able to sleep due to abdominal pains into a wonderful sleeper! She treated my son for his Autism (diagnosed at 18 months moderate to severe) and his is now a loving, happy, social and talkative little guy (3yrs old PDDNOS mild). It’s hard to stop writing about all the goodness she brought into our lives but what strikes me the fact that not only she’s a WONDERFUL and KNOWLEDGEABLE professional, most of all, she CARES about her patients individually! She respects the family’s decision and is always there when you need, always! "I was looking for an alternative medicine Doctor for my child who lost her hearing after medication "Naproxen". I decided not to give her any other pharmaceuticals afraid that she might have an irreparable side effect again. I found Vital Kids. Dr. Lisa Yang is amazing. She listens, understand and take her time to really care for your child She try natural medicine prior any pharmaceuticals. My daughter is doing so well that I decide to be treated by her as well. I strongly recommended this place to you and your child." 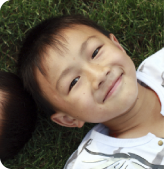 "My son and I love Dr. Yang and the staff at Vital Kids Medicine. I'm a new mom but also a physician myself so I was very selective in choosing my pediatrician. Dr. Yang is incredibly knowledgeable, personable and an amazing doctor. Dr. Yang is very thorough and does comprehensive physical exams (the past pediatrician barely examined little man) which I love and appreciate. Not only does she spend plenty of time with us but she also is an amazing resource for all questions and concerns. I'm so glad we have Dr Yang as our pediatrician! The front desk staff and medical assistant are also great. The staff are very professional, organized and friendly. I don't have one bad thing to say about this clinic and always recommend them to people looking for a pediatrician."